As digital media and printing technologies advance, a world of possibilities are emerged and in many instances have already emerged. 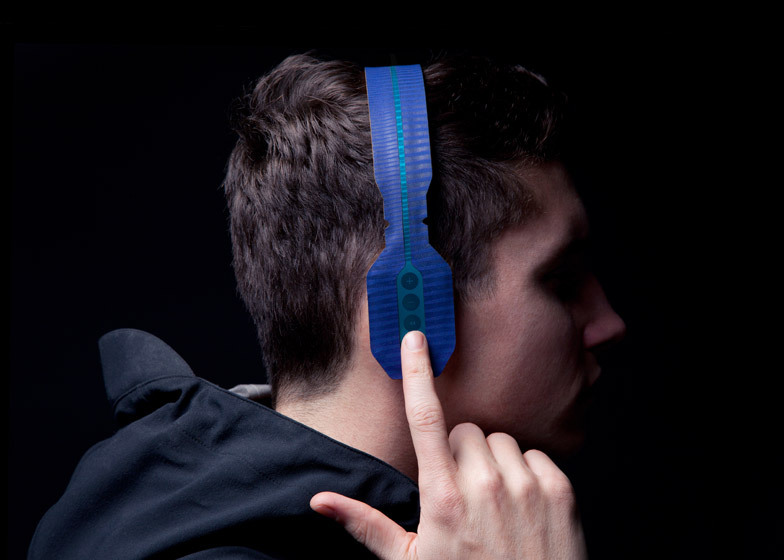 This product is a 3D printed headphone set, fairly innovative and interesting that the technology exists to create multi-layered prints that can have consumer value. I don’t see this trend diminishing, as the technology becomes more advanced and available we will start to see more and more customization with printing. Perhaps even to the extend where the supply and demand will shift back to consumers just needing the basic ingredients. Until this century, industrialization has increasingly pushed our society away from raw ingredients and towards providing products and services. Could the advent of 3D printing shift our society back to the consumer needing basic metals, starches, plastic, et cetera? Another industrial revolution shifting from mass production to mass customization to individualization. It presents interesting issues, leaving society with the decision to either be more efficient in addressing needs or more wasteful in the creative pursuit. The news of ISIS militants taking over one of the largest historical sites in the middle east brings up an important topic: religion and war. The militants are taking a strategic post for gas reserves and road networks are also on a rampage to destroy relics from antiquity. Their most recent conquest, Palmyra, will be subject to their wrath and only time will tell what will be the outcome of the historic site. The one confusing thing about the issue is that it almost seems as if they are attacking themselves, in the name of idolatry. It is a strange, really strange, that they are breaking into museums and smashing priceless artifacts about their origin (or related cultures origins). And now that they have control of an ancient architectural site, what will this spread about their motives and their agenda? What is the UN and American role as a governing force in the region? Will another conservative regime emerge like Iran in the 1970s? Will they just wake up one day and realize that they are idolizing their conquest to rid themselves of idolatry and westernism? There are a lot of questions and I hope the United States makes appropriate decisions in the conflicts. I am interested in hearing what people think on these issues. PS: At the end of the day, I hope that the militants will realize that they are fighting against themselves and turn their aggression into a rebuilding force for the country. In light of the current natural disaster in Nepal here is an interview of an Architect that uses phenolic tubes to create temporary and permanent structures. Shigeru Ban’s work has included many high profile projects from the Pompidou Center extension to a variety of disaster relief shelters. Enjoy! Almost a decade ago (time flies), I studied abroad for a school year in Copenhagen. It is one of the most understated and beautiful cities in Europe. The quality of life and the thoughtfulness of their society translates into many progressive ideals and innovations through their design community. 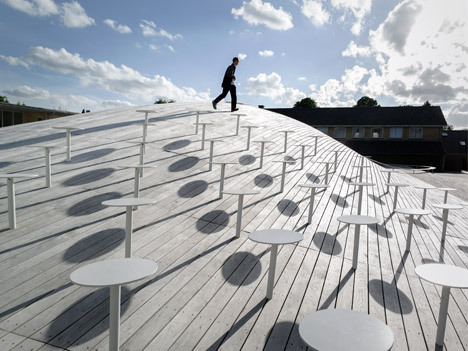 Relatively unknown at the time of my studying there, was a group called PLOT, which has now split into Julien De Smedt Architects (JDS) and Bjarke Ingalls Group (BIG). They are starting to take the world by storm with their innovative design through clever and efficient programming and globally minded specifications (to meet budget constraints). 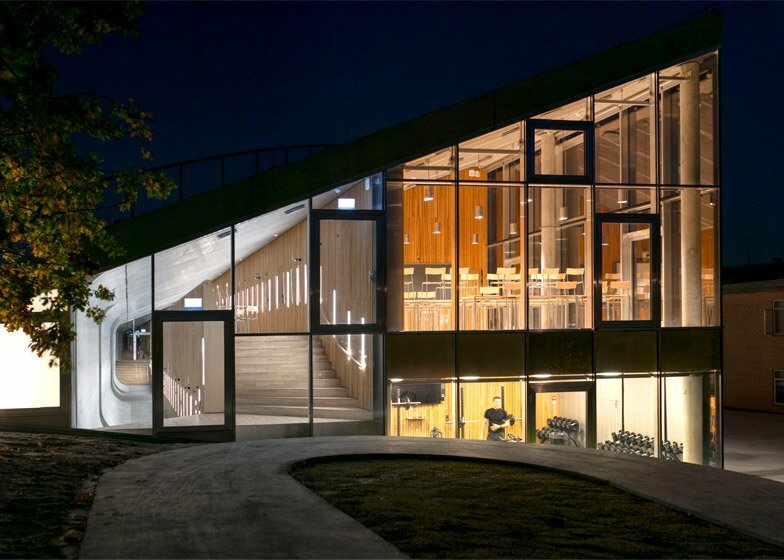 Below is BIG’s Gammel Hellerup High School, which utilizes the site to create innovative social spaces and unique relationships between performance space, social space and study space. Their clever use of space achieves a high level of educational environments for learning and creates inspirational moments for students growing up in a fast paced world. The schools which the next generation will inspire, promote, even limit the minds of the students attending them. What type of world do you want our next generation to grow up in? With the 2016 Presidential race starting to emerge, the budget being released (positive?!) and many big world events happening there are many exciting and perhaps slightly ominous new items in the political realm. President Obama has managed to reign in bipartisan action to stabilize the country and even turn a surplus and congress is relying on Taylor Swift for publicity stunts. With the strange yet successful government turning over new soil in America, the Asian continent is facing new tensions and trials. The country of Nepal and neighbors are facing the recovering from a major earthquake and Russian is fighting for its Russian communities separated by the demise of the Soviet Union. The United States will need to address the emerging powers of Asia and Europe as well as balance the 18 trillion dollar national debt. This next presidential race will be setting the tone for the next era of US politics, whether we want it or not. Today, I was reading the Washington Post and BBC takes on the celebration of the defeat of NAZI Germany. Growing up in America, I often think of D-day and images of the Royal British Air Force bombing Berlin, but often overlooked is the losses that the Red Army took and even the defeated German people. Having traveled to Russia, Germany and a number of Eastern European nations that were war torn and battle grounds for the war, much of their societies are still in the process of rebuilding and healing. The Baltic region, which was one of the main battle grounds for the Germans and the Russians Armies are societies that still have scars from 70 years past. The people, who are strong, have faced a steady stream of geopolitical tensions, now struggle with the balance of freedom and crime. In the footage below, you can see what the German people living in Berlin faced when starting over from the defeat of war. While I am proud of the American success, there is still a somber reality to the extent of damage that a world at war can cause. Thank God for the freedom and peace that we are now enjoying because of the sacrifice of the generation before us. For those of you interested in urban development, I think LA starting to catch on to some interesting trends. The city, which as little as 20 years was predominately a destination for business and the homeless, has been transformed into vibrant districts that are hot beds for innovation and home to eclectic and trend setting communities. Districts like the arts district, elysian valley, venice and silverlake are evidence of this. Some of the success of the city is due to its progressive city planning measures for densification and redevelopment. 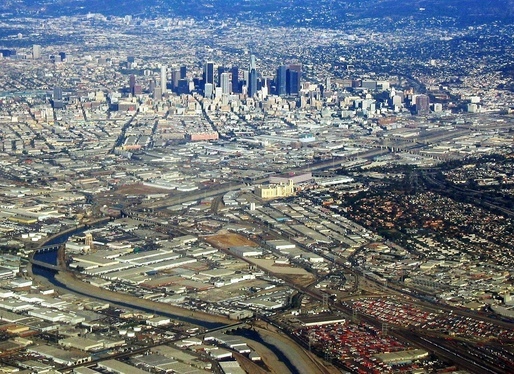 The latest development has been based around Transit Oriented Developments (TOD) and now the development of the Los Angeles River.